Since opening our office on St Helens Gardens in North Kensington a few years ago, we have been welcomed by the locals with open arms. That’s the reason why this area is so wonderful – there is a great sense of community here. Not many people know that North Kensington is where the Notting Hill Carnival was born and where the majority of the planning and organisation is still done. 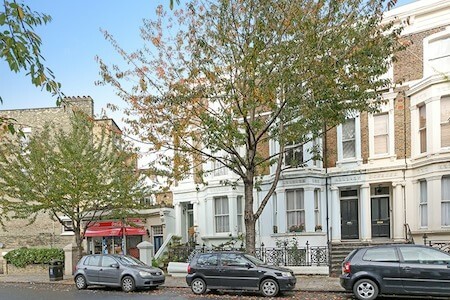 North Kensington offers better value property than its neighbours to the south with rental on a one-bed flat averaging £1,700 per month and the rent on a family house with garden averaging £5,000 per month. 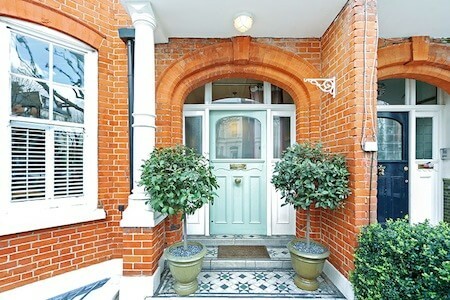 The average rental cost in the W10 area is around £2,700 per month. 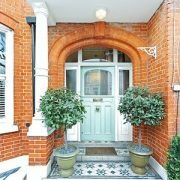 Renters can take their pick from period Victorian homes or the host of new developments that have sprung up in recent years. The enclave known as the Highlever Estate is a calm, friendly place with a village feel. It has its own parade of local shops on St Helens Gardens with some great independent outlets such as the lovely St Helens Deli run by our friend Sarah Rowden. Kensington Memorial Park and Little Wormwood Scrubs Park provide all the green open space you and your kids need. The tennis courts at the Memorial Park are a real bonus. The most popular roads in this area include Highlever Road, Oxford Gardens, Balliol Road, Finstock Road, Kelfield Gardens, Wallingford Avenue, St Quintin Avenue and St Helens Gardens. Golborne Road is the beating heart of North Kensington and one of the coolest spots in West London; a real celeb and literati hang-out. Last time I was there I happened to see fashion designer Alice Temperley browsing the antiques shops for items for a photo-shoot – and it was fellow fashion designer Stella McCartney who put Golborne Road on the map when she moved into the chapel here. These days you can find pretty much anything here from galleries, cafes, upmarket cuisine, vintage wares, antiques and designer fashion boutiques. This area is sometimes called ‘Little Morocco’ due to the number of Moroccan food stalls and shops here. Then of course there is the Lisboa Patisserie, a Portugese legend for over 30 years famed for its custard tarts and Jamie Oliver’s favourite chippie ‘George’s Fish Bar’ which has been run by the same Greek family since 1961. Portobello Road is world famous as one of the best markets in the city and rightly so. The north end of Portobello Road runs under the Westway flyover into North Kensington and intersects Golborne Road just where celeb hang-out, Pizza East is located. Portobello Road has three different markets; there is the fruit and vegetable market which is open during the week, the world’s largest antiques market on a Saturday with over 1,000 dealers and under the flyover itself is the fashion market where budding designers sell their wares. 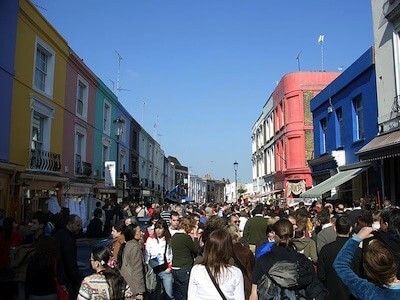 Portobello Road also boasts many great independent shops, bars, cafes and restaurants. Although slightly incongruous in the middle of London, North Kensington boasts two riding stables, both of which are dedicated to helping local children, often with physical and learning difficulties, learn to ride and look after horses. West London Stables is located under the Westway near the sports centre and The Wormwood Scrubs Pony Centre on the corner of Wormwood Scrubs is run by the incredible Sister Mary-Joy Langdon who has been running it as a charity for 25 years. Then there is the Westway sport centre with one of the tallest climbing walls in the UK, eight football pitches and ten tennis courts as well as a Virgin Active on Lancaster Road. Finally there is Ten Pilates on Barlby Road and the Jivamukti Yoga centre on Kensal Road. The Grand Union Canal snakes through North Kensington and locals can walk east along the canal through Paddington to Little Venice. In recent years there have been lots of great developments along the canal. These include Portobello Dock which includes a fantastic restaurant, the Dock Kitchen. Many of these apartment blocks offer rental apartments with views over the canal. Those interested in taking to the water on the canal can get involved with the Canalside Canoe Centre on Canal Close.